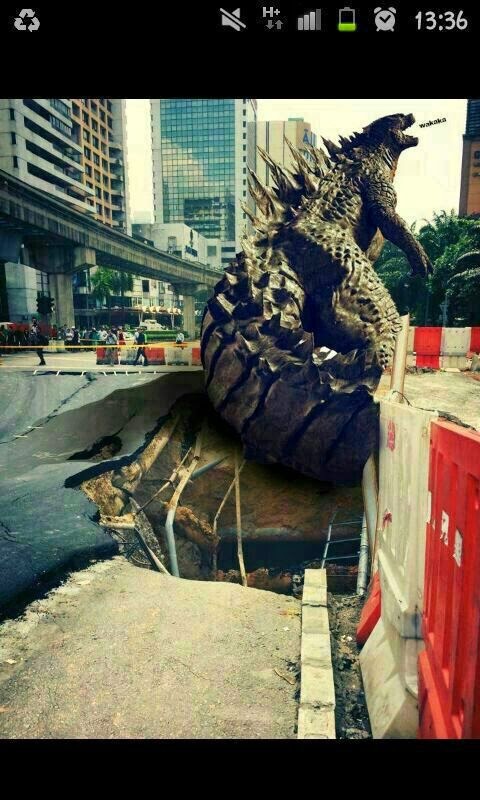 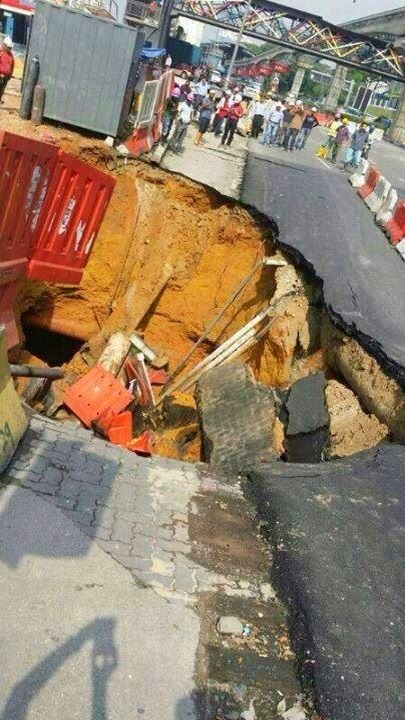 Two large sink holes caused some chaos in the KL city centre today at the Jalan Pudu/Jalan Imbi traffic lights intersection, where a 35 metre long underground road tunnel is being built by DBKL– the first measuring about 12m deep and 19m wide appeared at 10.40am and the other at around 12.20pm. 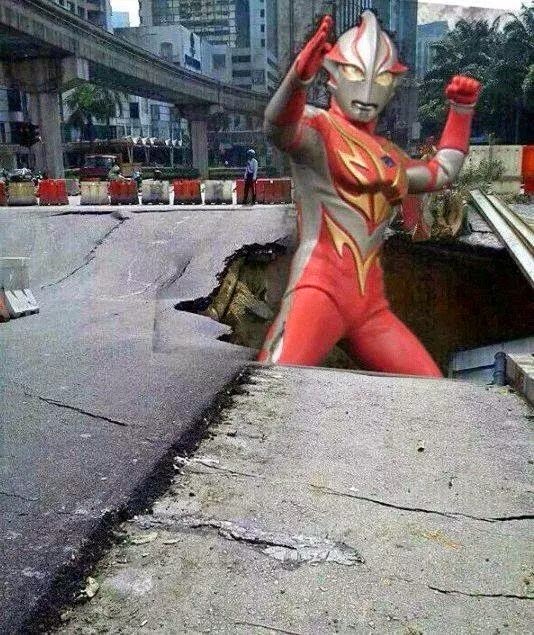 *Authorities worry that a larger part of the area may also collapse. *Monorail services between Imbi and Hang Tuah stations has been suspended until further notice. *DBKL warns that half the city could suffer a black out if a TNB power cable there is affected by water. 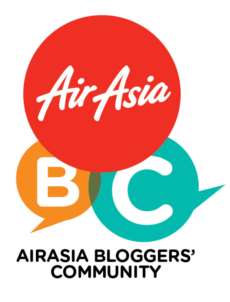 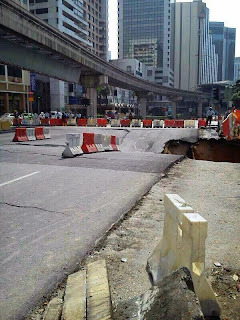 * City Hall and Syarikat Bekalan Air Selangor (Syabas) point fingers at each other – with DBKL claiming a burst water pipe caused the collapse, while Syabas claims tunnel excavation works caused a mains to burst. *Nine areas in the vicinity faced water supply interruption and low water pressure. 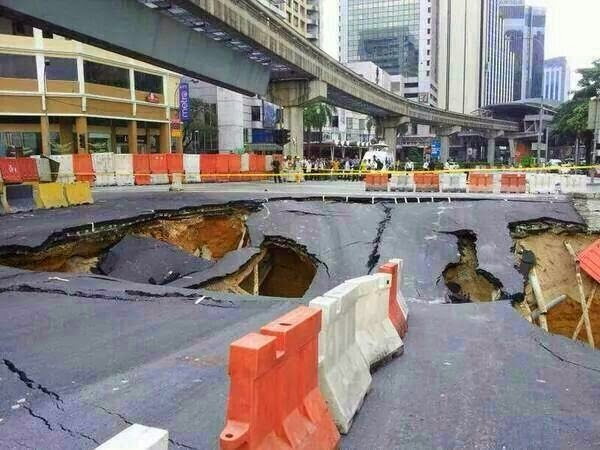 *Motorists advised to avoid area. 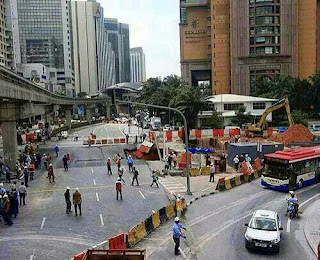 Normal traffic flow expected to resume only after two weeks. 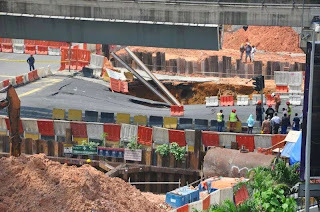 No casualties were reported but construction workers at the site were shaken when several of them managed to scramble to safety seconds before a 19m wide and 12m deep hole appeared at about 10.40am. 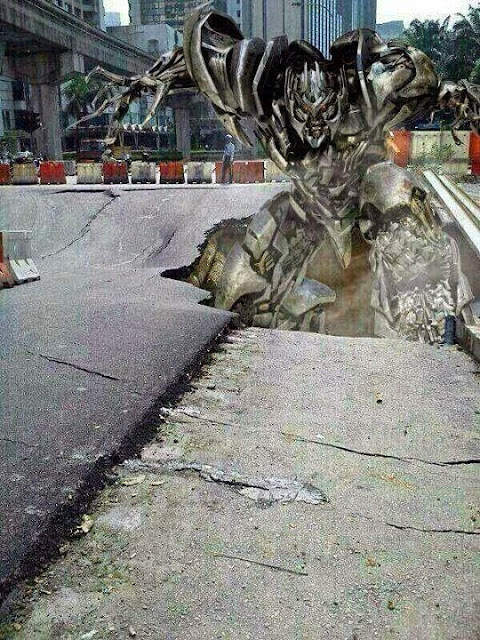 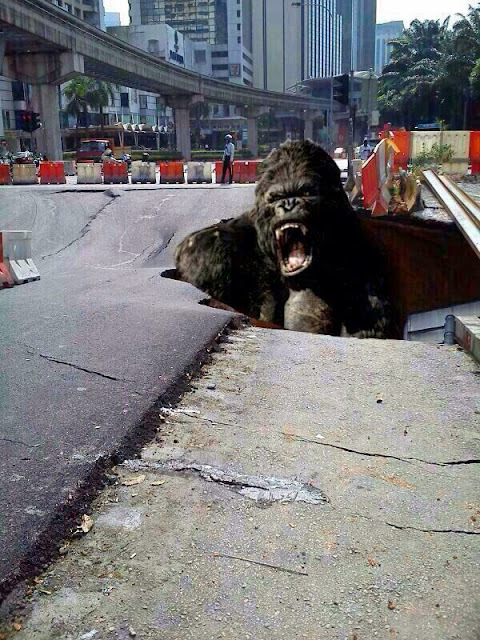 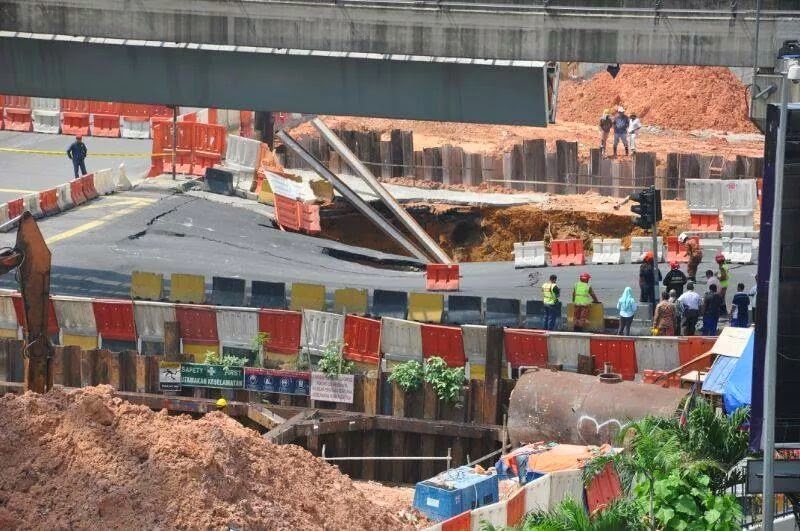 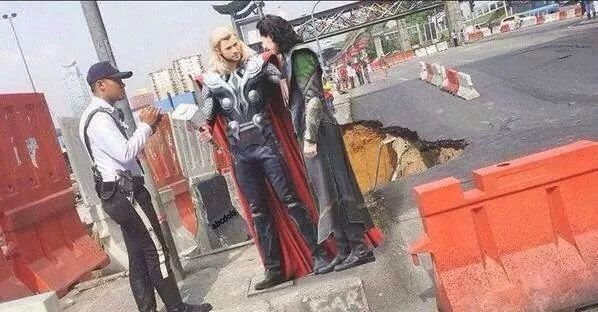 At about 12.20pm, just when DBKL and other authorities were inspecting the damage, another part of the road collapsed into a similar-sized sinkhole, sending people nearby panicking to safety. 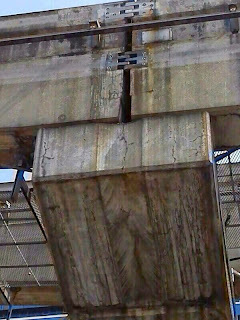 Monorail services through the area was suspended soon after the first sinkhole appeared as a precautionary measure. 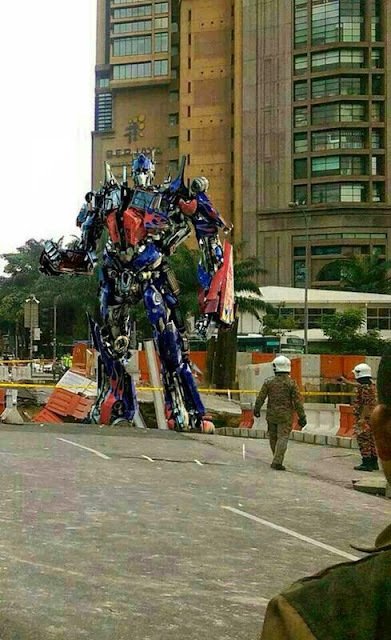 Police sealed the intersection and diverted traffic to alternative routes. The ongoing construction was a 35m tunnel supposedly to ease the two-way traffic on Jalan Pudu.